LAUNCH IS OPEN If you need to launch and schedule a boat inspection outside of these hours please call the number below. 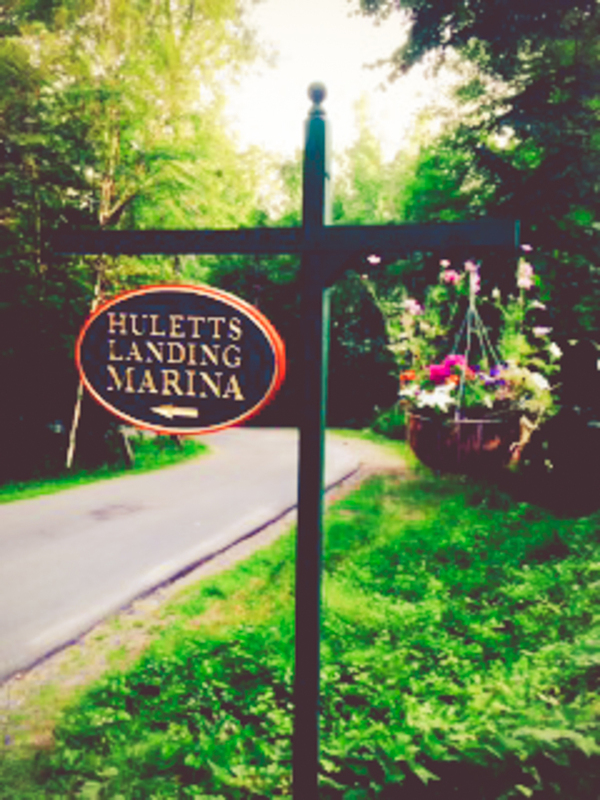 Huletts Landing Marina | Boat Launch, Gas and Groceries Specializing in Local Food and Goods. 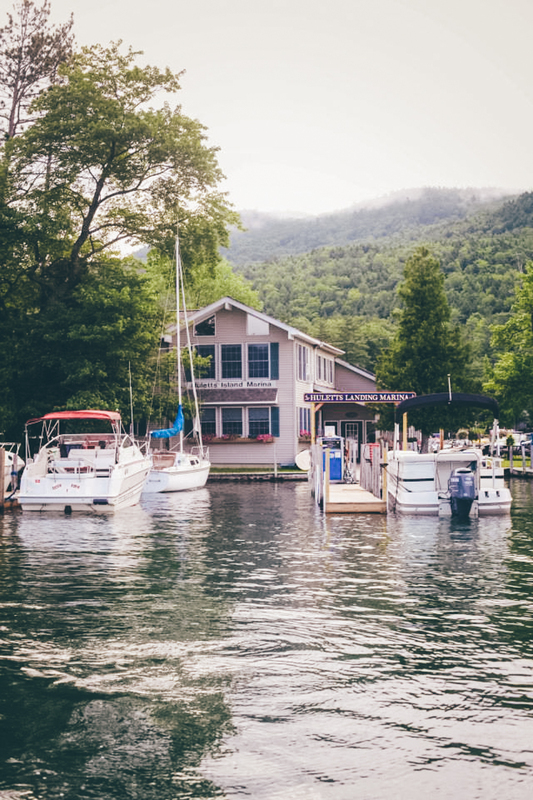 The Huletts Landing Marina located in the North Basin of Lake George was purchased by two lake enthusiasts in 2011. This is not your traditional marina on the lake. Since that time they have added many services, upgraded the rentals and really taken time to curate the store and add local food and beer as well as locally made items. You can gas up your power boat or rent, canoes and kayaks to get your time out on the water. Or you can stay right here in one of our three rental apartments and have direct access to our beach. We have regular snacks you would find at any convenience store but really love touting our local items like a growler beer station, fresh local veggies, meat, bread and other delectable vittles! We love and have enjoyed this lake since before we can remember. We would like to share it with you. If you need something just ask! This is a premium marine blend that contains a combination of high-performance additives including detergent, antioxidants, metal deactivators and corrosion inhibitors that help prevent gummed carburetors, overburdened filters, deterioration of fiberglass fuel tanks and phase separation. 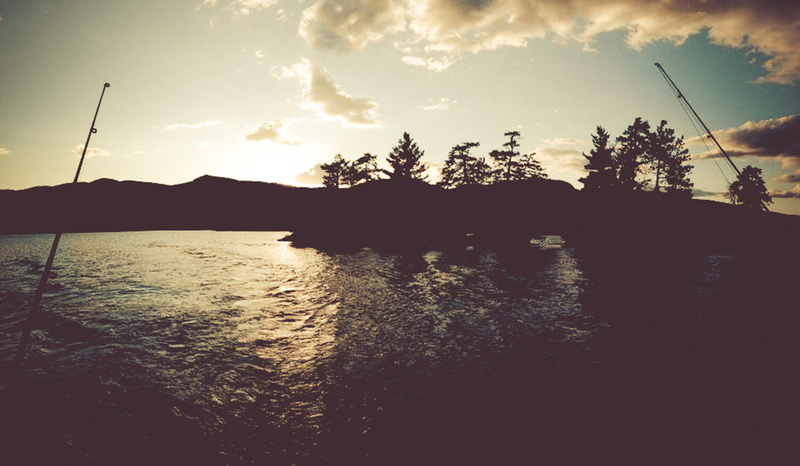 Reserve a Campsite on Lake George! The Narrow Island ranger station, where you must sign-in for your campsite, is conveniently located 500 feet from our launch. Huletts Marina provides boat launch services & car parking for the duration of your camping trip. For more info click here. We offer seasonal slip rentals. Please contact for rates based on your boat size. For more information and reservations or to reserve our canoes, kayaks or paddle boards! CALL: 518.499.0801 or CLICK HERE! Beginning May 15, 2014, all trailered boats being launched into Lake George must undergo an inspection at one of the six regional inspection stations around Lake George before they launch. The purpose of this inspection is to ensure that boats and trailers are clean, drained and dry, and are harboring no invasive species. 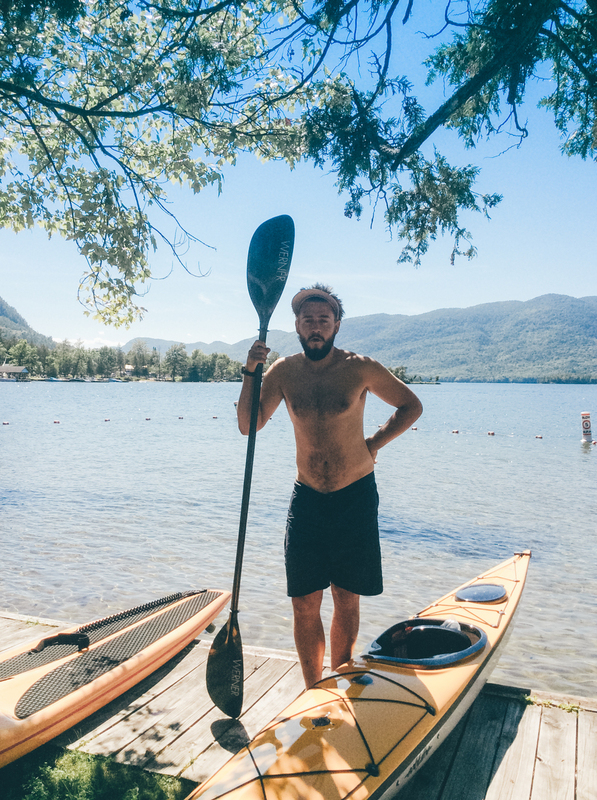 The goal is to keep Lake George clean for the future, so that we can all enjoy this lake in its current high quality state for generations to come. 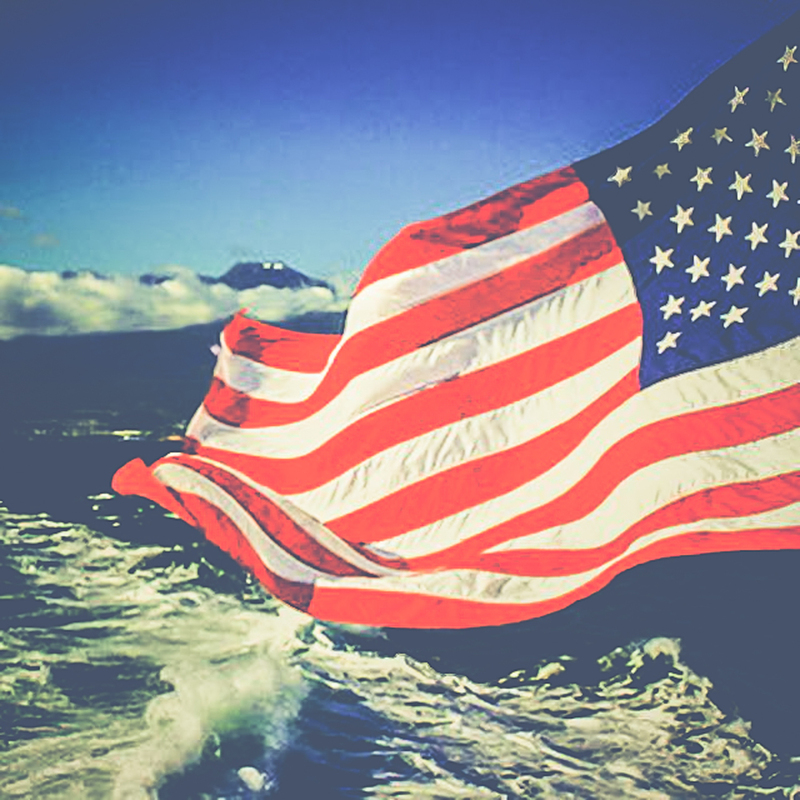 There is no cost to boaters for these inspections, or the washing of the boat and trailer if determined necessary by an inspection technician. For more information, visit the Lake George Park Commission website. Launch your boat from the most scenic area on Lake George and park your vehicle just steps away. We are conveniently located just 100 yards from Narrow Island Ranger Station where you can rent an island campsite or day use site. Jim Wells is a NYS Guide with a PV. Experience beautiful northern Lake George with a customized fishing charter or scenic tour with Jim. Fishing tours include all bait and tackle. Once you’ve arrived at the lake, we know you don’t like to leave! Our vision is to provide local groceries and supplies to Huletts and our on-the-lake neighbors visiting by boat. As a general grocer, we accommodate all your daily needs + organic locally grown produce, grass-fed meat, everyday beer + local Adirondack microbrews, fishing gear, camping provisions, firewood, ice & ice cream. 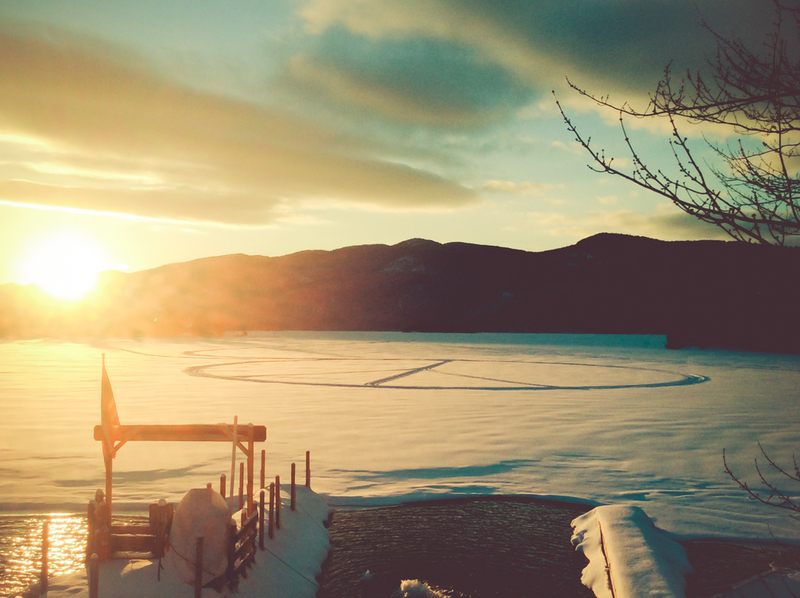 We thoughtfully cater to the needs of campers, vacationers & boaters on Lake George. We’re equipped with burgers to throw on the barbecue, bait to catch your own dinner & popsicles for the kids. 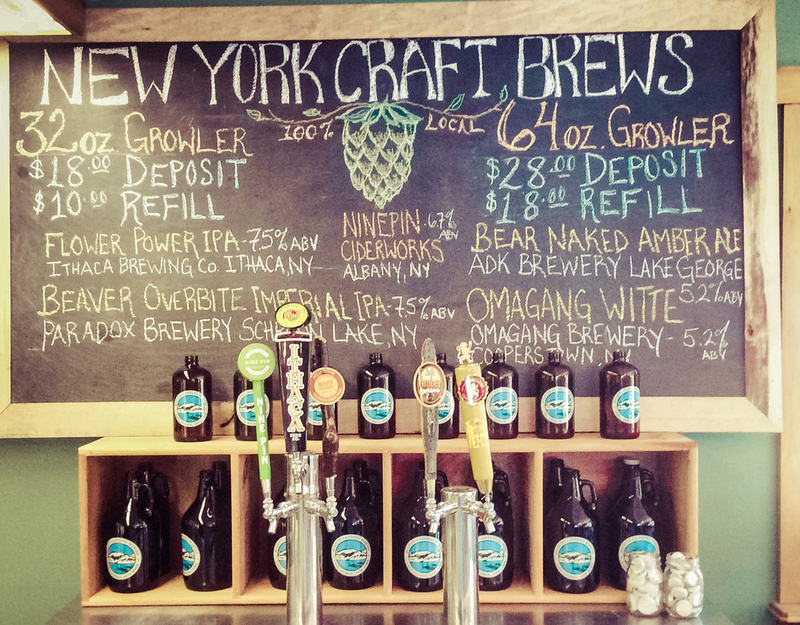 Additionally, we are now featuring local Adirondack made products. In doing so, we’re growing a community of conscious small businesses. It is our hope that this will bring our customers closer to the product source and allow you to know the story behind your food, while providing access to unique items. Want to know more about the importance of buying local? Click Here. Our story offers a myriad of options however if you want to get out of the house or off the island Hague across the lake offers two great dining spots! The Firehouse and Hague Market. They are about a half hour boat ride from the marina or an hour drive. Our Accommodations are booked for the 2019 Season. Thank you for your inquiries. This inviting one bedroom studio has everything you’d need. Full kitchen, full bath, ceiling fan, and an abundance of windows guaranteeing two sided lake views & delightfully warm morning sun. With the windows open you can fall asleep to the calming lull of the nearby water or use the natural soundtrack as an accompaniment to your morning coffee. The studio dons, one double bed, two single beds & an excellently comfortable couch. Located just steps away from the water, the studio is perfect for a couple, or good friends looking for an affordable place to play cards, fill their bellies & rest their head after an enjoyable day on the lake. This sublime downstairs two-bedroom apartment offers the closest possible ‘commute’ to the lake, second only to sleeping on a raft. The spacious living room & full kitchen area makes cooking or playing games comfortable for the entire family. One bedroom has a double bed & the other has one set of bunk bed’s to agreeably accommodate many guests. The ample western & southern facing windows present a perfect lens for viewing sunsets, boats & passing ducks. This enticing upstairs two-bedroom apartment offers expansive views of the lake. The sizable living room & full kitchen layout lends itself as equally to game night with friends as a cozy night in reading. One bedroom has a double bed & the other has one full bed and one twin bed which is surly amenable to welcome a family. The generous southern & western facing windows offer a birds eye view of Huletts Island, Deer’s Leap & Elephant Mountain, ensuring plenty of natural light & a beautiful cross breeze on those balmy summer nights. 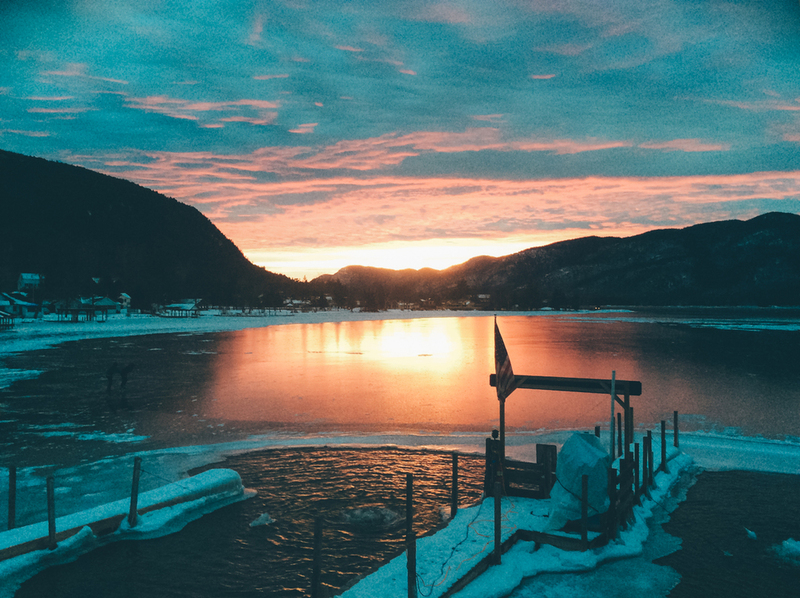 Lake George has a “two-story” fishery; both warm water fish, such as perch, bass, and sunfish and cold water fish, such as lake trout and salmon, are found in the Lake. There are 36 fish species in the Lake George watershed. For more information about the fish of Lake George, visit the Lake George Fishing Alliance website. A five-minute walk north in to the Washington County Public Beach provides access to two public tennis courts, basketball hoops, pavilion, swing sets & public beach with lifeguards. Park is open 7 days a week from 8 a.m to 8 p.m. & the beach is open from 11 a.m. to 7 p.m.
We are located three miles from the trailhead to Black Mountain & neighboring ponds. 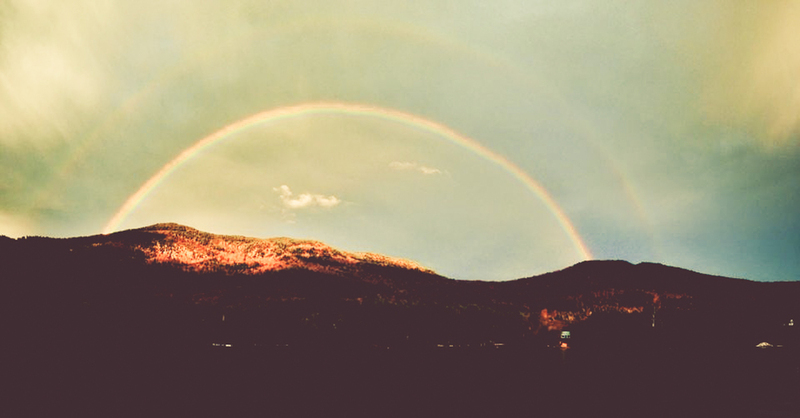 From there you can access Black Mountain, Buck Mountain Sleeping Beauty & Shelving Rock. There are a number of natural ponds that you can access including Fishbrook, Lapland, Millman, Greenland & Black Mountain pond.